Post any tips and tricks you've discovered for using Acoustica software here. 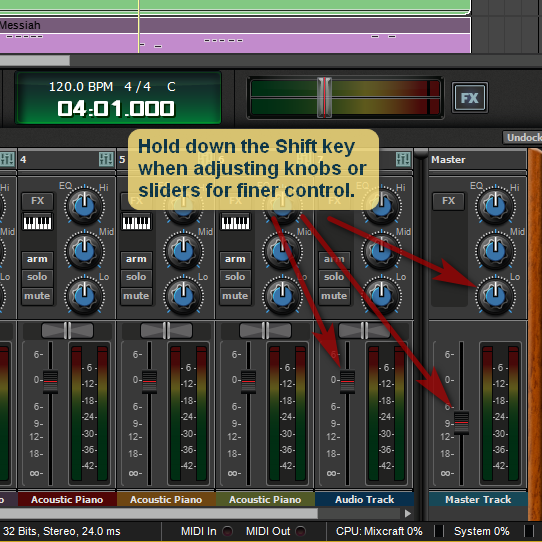 Tip: if you find yourself over-adjusting volume or EQ, try holding down the Shift key to move the controls in smaller increments. 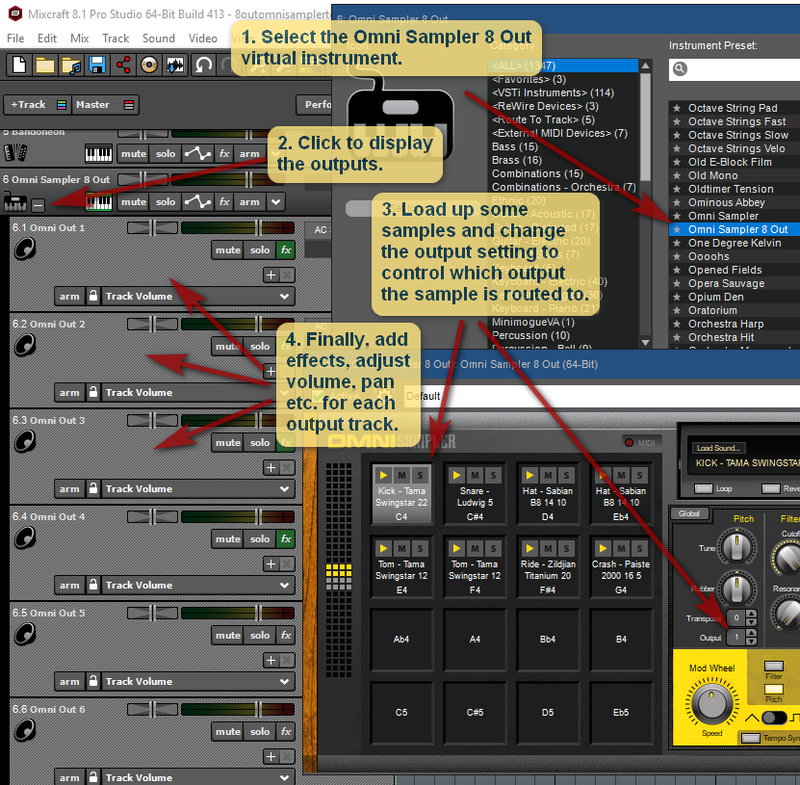 Mixcraft 8 Pro Studio includes 8-out Omni Sampler, which allows you to have different effects and other settings for samples on up to 8 different outputs. 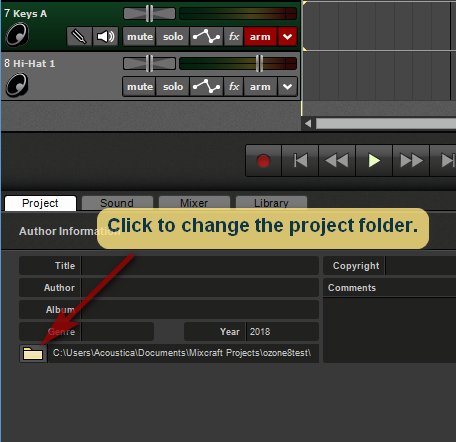 If you need to select a new project folder, you can click the "Select New Project Folder" option on the Project tab. Note: you probably don't want to use this feature. Any existing files will remain in the old project folder, as will the project file. This only designates where newly recorded audio files will go, and where the backups will be stored. Why use it? If you used the Copy Project Files option and wanted to, but forgot, to designate the new folder as the project folder, this would come in handy. Or you could use it to switch back and forth between two copied projects to make an A and a B version. Things could get confusing fast. 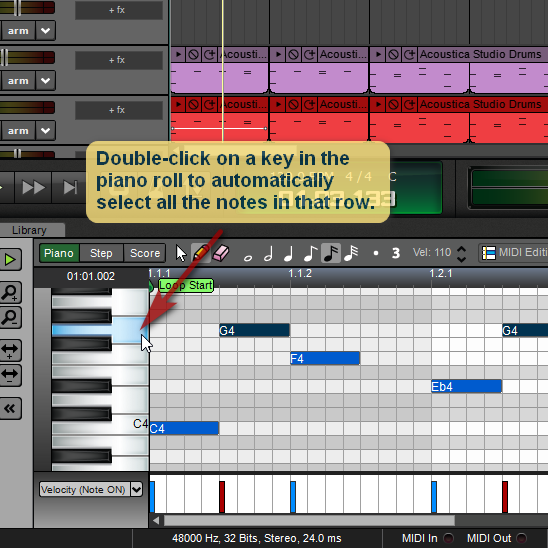 Instantly select all the notes in a piano roll row by double-clicking a piano key. 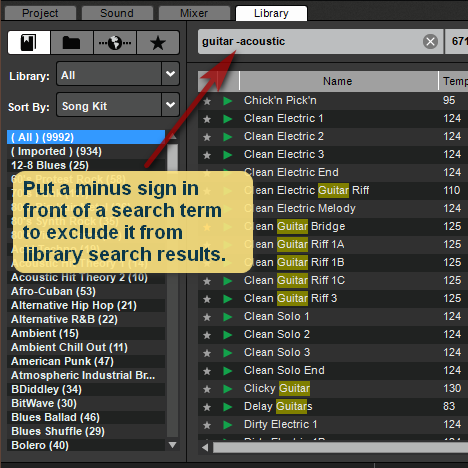 Narrow down library searches by putting a minus sign in front of unwanted search terms.